Panaji: A tripartite agreement would be signed between the Goa government, Union shipping ministry and Mormugao Port Trust (MPT) in the next one or two months to facilitate nationalisation of seven rivers in the state, the assembly was informed today. Chief Minister Manohar Parrikar said the government is in the process of finalising an MoU to be signed between the three entities. "We are in the process of finalising a memorandum of understanding between Inland Waterways Authority of India (IWAI), the Goa government and Mormugao Port Trust (MPT)," he said, responding to a question in the House. IWAI, tasked with the development and regulation of inland waterways for shipping and navigation, works under the shipping ministry. MPT is the nodal agency for the river nationalisation project. "In the next one or two months, the MoU would be signed. Once we do that, we will be eligible for funding from the Central government," the chief minister said. 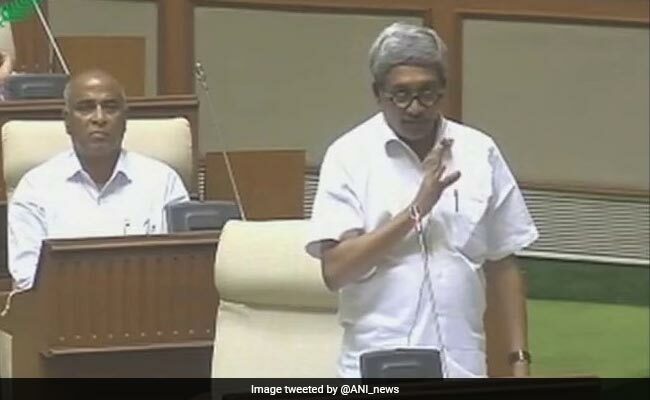 Responding to a question tabled by Aleixo Reginaldo Lourenco of the Congress party, Mr Parrikar said though the Centre would be funding the project, it has assured that all the operational powers will be vested in the state government. Mr Parrikar said a detailed project report (DPR) will be prepared for constructing four floating jetties and nine regular ones with funds from the Centre. "The Central government is encouraging movement of passengers and goods through waterways to decongest roads," the chief minister said. Allaying fears of adverse impact on environment due to desilting of rivers as part of the nationalisation project, he said all works would be carried out only after an Environment Impact Assessment (EIA) is conducted and approved. He said only navigation channels would be desilted, that too, only if required. Under a central government scheme, the state would be provided funds to create infrastructure along seven rivers to turn them into transportation highways.